Uzi Rabi is Director of the Moshe Dayan Center for Middle Eastern and African Studies. His numerous academic works include Yemen: Revolution, Civil War, and Unification (I.B Tauris, 2005). He provides consultation to the media and Israeli policymakers on contemporary Middle Eastern issues. Abdelilah Bouasria, professor of international politics at the Ecole de Governance et d'Economie in Rabat, Morocco, has taught at George Mason University, the American University and the University of Montana. He is the author of Sufism and Politics in Morocco: Activism and Dissent (Routledge, 2015), and other books and articles.. Following the much-publicized self-immolation of Muhammad Bouazizi on 18 December 2010, a tempestuous succession of demonstrations, revolutions and civil wars swept the Middle East and North Africa (MENA) region. These events, collectively referred to as the “Arab Spring,” spread contagiously throughout the Middle East and the Maghreb. But instead of ushering in tidy transitions of power in autocratic regimes, the revolutions and uprisings ushered in a state of chaos, which greatly complicates the task of analysts and historians whose job it is to make sense of what has taken place. Will the Arab Spring bring much needed change that benefits the Arab peoples or will instability and turmoil keep the Middle East in a perpetual state of what some have termed the "Arab winter"? 2. Shadow Economy and Political Stability: A Blessing or a Curse? 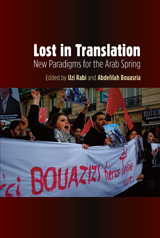 Through 15 essays, an international group of scholars of politics, economics, and other areas, as well as policymakers and activists, examines the Arab Spring from new perspectives, rather than the traditional paradigms of Islamism, democracy, and women’s rights. They consider how the Arab Spring was created, how the ecological sciences can offer insights into it, soccer as a place of resistance to autocratic regimes and political control, the economic dimensions of the Arab Spring, processes of change, future scenarios for states affected by the Arab Spring, electoral politics in Algeria, dream narratives in the Arab world during the Arab Spring, the impact on Persian Gulf monarchies, the role of social media, the equality of non-Muslim minorities in Turkey, the role of climate, and the role of the foreign policy of Japan toward Syria. Jean-Francois Mayer provides the foreword.